Unified heavyweight champion Anthony Joshua 22-0 (21) will defend his world titles against undefeated American Jarrell ‘Big Baby’ Miller 23-0-1 (20) at New York’s Madison Square Garden on June 1, according to The Ring magazine. The 29-year-old British boxer, who holds the WBA, WBO and IBF heavyweight titles, will be making his long-awaited USA debut against the 300-pound Brooklyn behemoth. 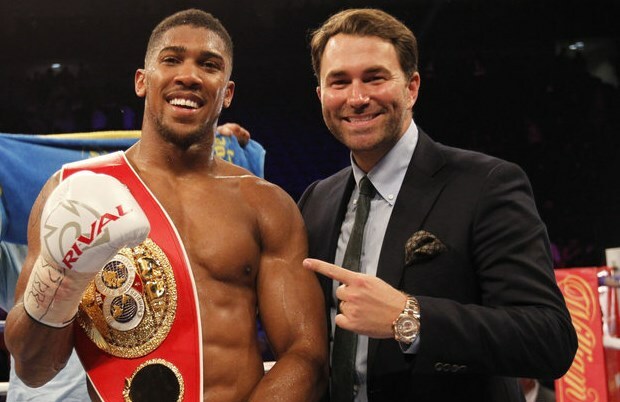 Joshua has become a big draw in his home country, regularly drawing an 80,000 live gate at London’s Wembley Stadium and had a bout scheduled at the venue for April 13 which has now been scrapped. Miller, 30, has long been angling for a shot at Joshua. “He’s a punk,” Miller said to Sporting News last year. “He doesn’t want to say my name. He’s a p***y. He’s not a world champion. He just has a belt. Miller has been groomed as a future opponent for AJ, twice fighting on DAZN cards for knockout victories over Tomasz Adamek and Bogdan Dinu in October and November last year. Joshua fought twice last year, claiming the WBO crown from Kiwi Joseph Parker on points in March and knocking out perennial contender Alexander Povetkin in seven rounds in September.